Having played together in various forms for over 10 years, World Poetry Slam Champion Harry Baker teams up with rising star of the jazz scene, Chris Read as the imaginatively titled ‘Harry and Chris’. After a debut sell-out run of ‘The Harry and Chris Show’ at The Edinburgh Fringe Festival 2016, they are bringing their brand of poetry, music, love and laughter all around the country. 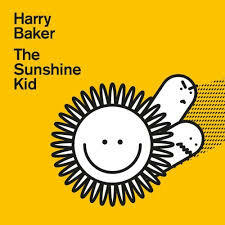 Having played together in various forms for over 10 years, World Poetry Slam Champion Harry Baker teams up with BFF/Jazz Musician Chris Read as the imaginatively titled ‘Harry and Chris’. After a debut sell-out run of ‘The Harry and Chris Show’ at The Edinburgh Fringe Festival 2016, they are bringing their brand of poetry, music, love and laughter all around the country. Gecko’s playful lyrics cover life’s big things; think iPhones, the Mona Lisa & Grant Mitchell. He has appeared at Glastonbury & shared stages with the likes of Ed Sheeran, Robin Ince, Josie Long & Billy Bragg. 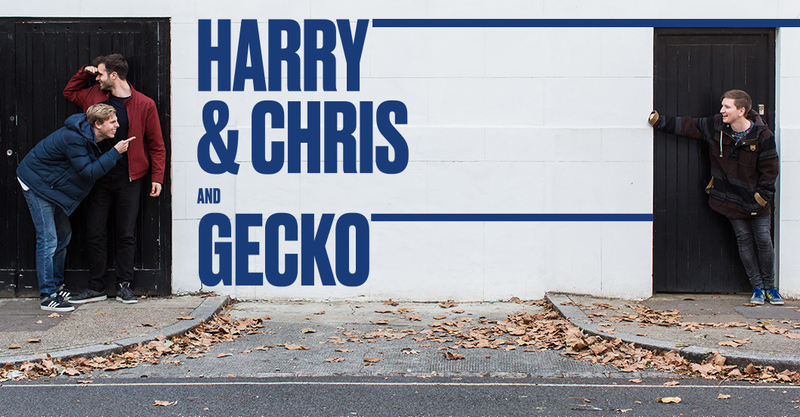 In 2016 he took his debut hour ‘A Lizard Goes a Long Way’ to the Edinburgh Fringe and now joins ‘Harry & Chris’ on their national tour.